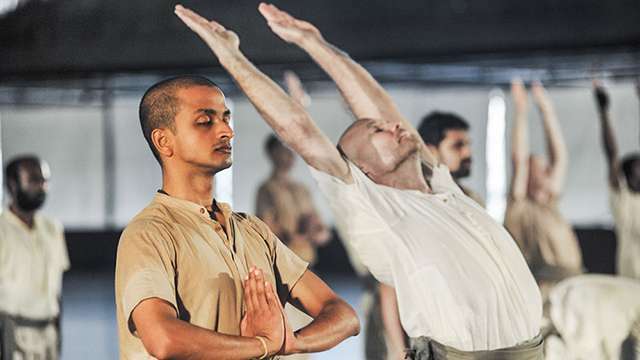 In this week’s Spot, Sadhguru answers a question about Surya Kriya initiation and its benefits, during a sathsang with the Hata Yoga Teacher Training Program participants. 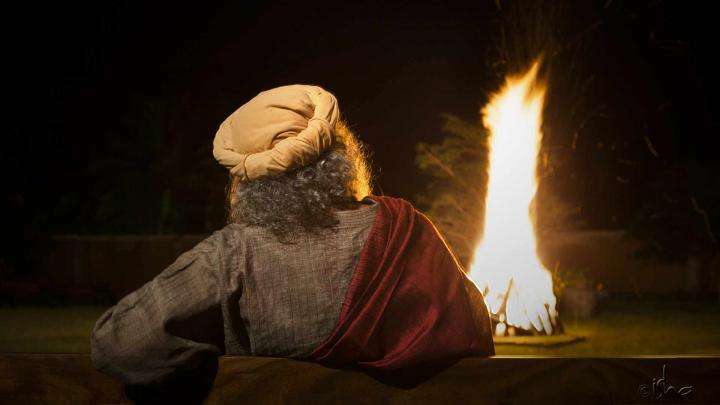 Dear Sadhguru, what is the significance of being initiated into Surya Kriya and what changes happen in the system? The idea of yoga is that your body becomes a possibility, not a barrier. If that has to happen, everything within your system should function with least amount of resistance, with least amount of friction. Even according to our understanding of mechanical sciences, we know that we will call a machine truly efficient, only if it has least amount of friction. The more friction it has, the more inefficient it becomes. If it has no friction, it will be the ultimate machine. If you minimize the friction itself, the wear and tear comes down phenomenally. So, if the wear and tear of this body has to come down phenomenally, the first thing is to see there is no friction between different dimensions of who we are. Whatever kinds of little bit of aberrations that one may be born with or acquired in the process of living, all these are smoothened out. To bring this state, there are various systems. Surya Kriya is a powerful process in that direction. You have a physical dimension, which is an accumulated dimension. You have a psychological dimension, which is also largely accumulated dimension. Physical dimension is purely accumulated from this life. Psychological dimension you have acquired or accumulated from many lifetimes. And there is a karmic dimension, which is a much larger accumulation and much more complex. And there is energy, which is grown from within, but given to us from the process of life, which happens within us. And there are dimensions, which are purely cosmic in nature, which are not physical. If we want to make sure that this being or this mechanism, which is a combination of all these aspects, is not in friction; there are many levels on which we have to lubricate it. One thing is the basic friction, a very rudimentary friction that people are experiencing everywhere. They’re talking about stress. Stress is a very rudimentary thing. It is like you are trying to run your engine without lubrication oil and you are complaining, 'my car is not going anywhere.' If you go to a mechanic with your car and you say, "I got a problem," and he sees that you are running it without lubrication, he will knock you on your head and say, "You fool! You are not fit for driving." This is just like that. ‘I am stressed out’ means your mind is in a state of friction, psychological friction within yourself. This is the most fundamental level of friction, but there are other more complex levels of friction or deeper dimensions of friction within us. Your karmic body and your physical body, if it doesn’t fit, there will be a different kind of friction. Why would this happen? It may so happen - you have a certain type of karmic body, but you did not find the right kind of womb - then your karmic body will be in a state of friction with your physical body. That is not a small thing to handle. That will take a lot of handling. That is a very complex friction. Otherwise, your energy body may not fit into your physical body. There are certain types of people who are going through that. This may have something to do with culture. This may have something to do with the general atmosphere, maybe pollution levels, maybe the land itself, the kind of memory the land carries. There’re various aspects to it. There may be other kinds of frictions, which is your psychological structure and your physical structure are not going well together. Like this, every part of you, every dimension of who you are either can run smoothly or can run with a lot of friction. The idea of Hata Yoga is to knead the system - not just the physical body - to knead the whole system in such a way that all these frictions are smoothened out in such a way that after some time if you sit here, there is absolutely no sense of friction within you. You have only the outside to deal with. Nothing else. Only if it becomes like that, can you deal with the outside with a phenomenal ease and capability. So, initiation is to just make sure that the new possibilities that you have created by a certain practice do not remain dormant for too long. Surya Kriya is a phenomenal process in that direction to bring smoothness to the system. This smoothness to the system or this well-oiled feeling within yourself will not come unless you are in sync with the largest system, which is the solar system. The larger body of who you are is the solar system. This process of Surya Kriya is to enlarge the cycles of who you are; in such a way that your energy system's cycles should increase in a way that it becomes exactly the same as the solar cycles, which takes something like twelve years, three months and some few days to complete the cycle. Your system, your energy system should take exactly the same time. If you take the same time, if your cycles are absolutely in sync with the sun, then you will see your system will run without any kind of friction. Whatever kinds of little bit of aberrations that one may be born with, whatever types of aberrations that one might have acquired in the process of living, all these are smoothened out. To bring this state, there are various systems. Surya Kriya is a powerful process in that direction. It is to get into a certain segment of the cycle so that it manifests itself within us before you’re initiated. Initiation process for Surya Kriya is going to be very simple; it's a simple process because if you achieve a certain level of geometry in the system, then all it needs is just the new geometry that you have created. When I say the new geometry - one needs to understand, out of the one hundred and fourteen chakras which exist in the body, if you have twenty one of them active, you can live quite a complete life. Physically, psychologically, emotionally, you can live quite a complete life. The initiation is mainly to put energy into the system, which is opened up fresh. If you have twenty-one of them open fully, you can live a full life. Most people don’t even have that many open. If twenty-one of them are fully flexed and active and vibrant, one will live a very active, dynamic, and a full-fledged life within himself or herself. But, if more of them become open by aligning your system properly either through general Hata Yoga or particularly through Surya Kriya, they may have opened up, but they might not have energized themselves because how they open up may not be in a series. They may open up in different places and the rest of the system may not be able to course the energy through those points. So, initiation is to just make sure that the new possibilities that you have created by a certain practice do not remain dormant for too long because if it remains dormant for too long, you may lose the necessary motivation for you to continue to do the process. If you can keep up without any results or expecting any results, though there will be results, but without any expectation you continue the sadhana, you come to a certain level of openness, then we can energize those centers, which have been opened by your sadhana. That is the intention of initiation. In the physical understanding of things, it will be a simple process, but, we can make it grand by making a lot of noise and eating more on that day! Excerpted from a recent sathsang with the Hata Yoga Teacher Training Program participants. No need, but it takes enormous awareness and patience for doing surya kriya, approximately it takes 30 minutes for 3 cycles of surya kriya. If you think you can invest 30 minutes more to your sadhana time then go ahead or else ignore. "In the physical understanding of things, it will be a simple process, but, we can make it grand by making a lot of noise and eating more on that day!" 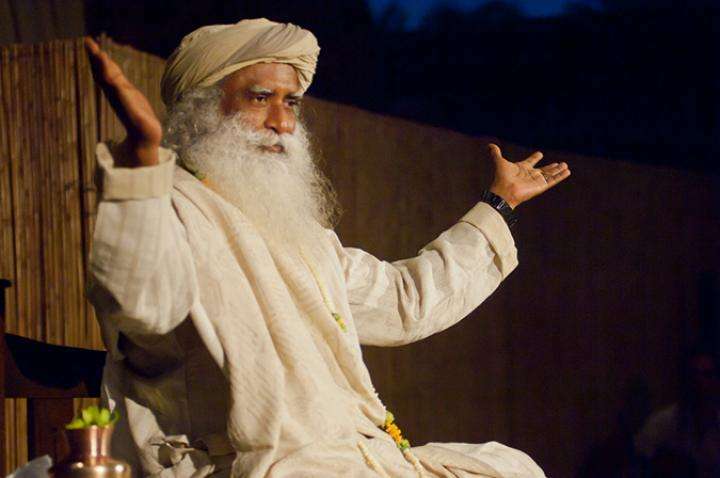 Sadhguru, you are so funny!! Waiting to learn Surya Kriya, hoping to be initiated some day... thank you for all the tools you give us.
" we can make it grand by making a lot of noise and eating more on that day" -- What a timing. Guruve Saranam. ng a lot actually.After reading Sadhgurus article i realise that I'm able to feel the silence within me with more awareness now.I did not learn suriya Namaskar,no need for that.I'm doing either one or three cycles everyday.Three is better.To me suriya kriya is a powerful,silent friend! I love doing it for some reason and it just works on my systems balance while I'm busy with my life.Im able to play with life and to offend someone is never my intension.Somehow things work out with sadhgurus grace!!!!! 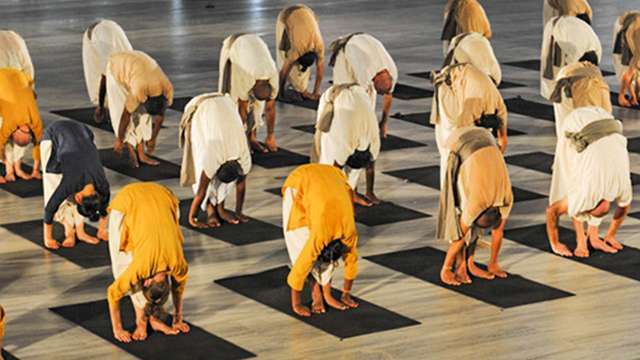 I have to do surya namaskar properly to be able to learn surya kriya? Thank you Sadhguru for offering surya kriya, it is a truly phenomenal sadhana especially if you take cold head bath and do surya kriya sadhana you feel much more less fiction and more lubrication. Awesome sadhana!!! No you do your practice every day and that is your initiation. Kind of. Surya kriya is similar to surya namaskar, but the purpose of each one is different. I finished the 2&amp;1/2 day hata yoga course last month which was conducted in mumbai. I am doing the practice everyday, surya namaskar thrice but people have already started noticing the change in my body, leave alone what energies i feel....so u know every course Sadhguru offers is a blessing for us. Beautifully explained by Sadhguru as always. Namaskaram , would like to check how many cycles of suryakriys i could do if i want to proceed beyond 3 . kindly enlighten. "This process of Surya Kriya is to enlarge the cycles of who you are; in such a way that your energy system’s cycles should increase in a way that it becomes exactly the same as the solar cycles, which takes something like twelve years, three months and some few days to complete the cycle"